Cancer is one of the hardest diseases to get through. It’s difficult to keep a positive attitude while facing a treatment that’s hard on your body and your emotional state, all while worrying what might happen if it doesn’t work. 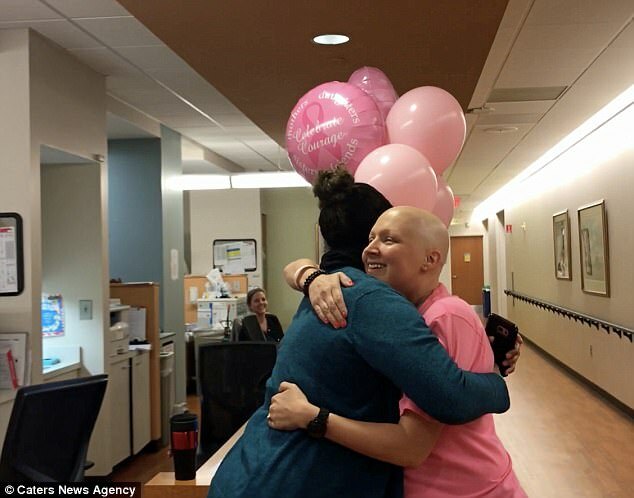 Jessie Rhye Recny had stage 2 breast cancer. Her chemo journey was long and painful. 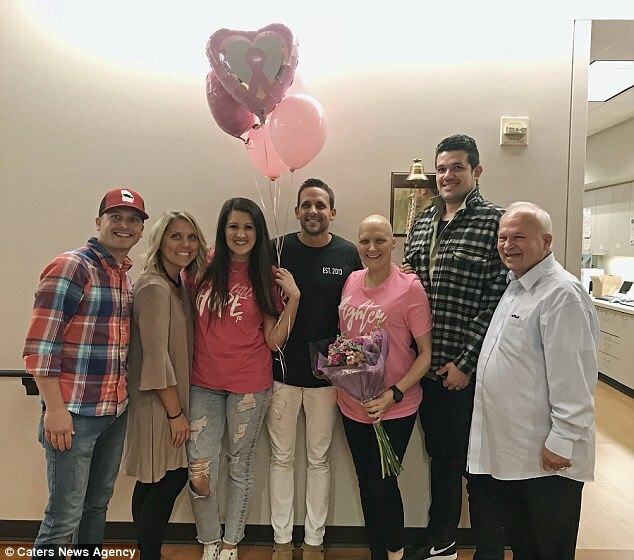 But in November 2017, she was declared cancer-free. 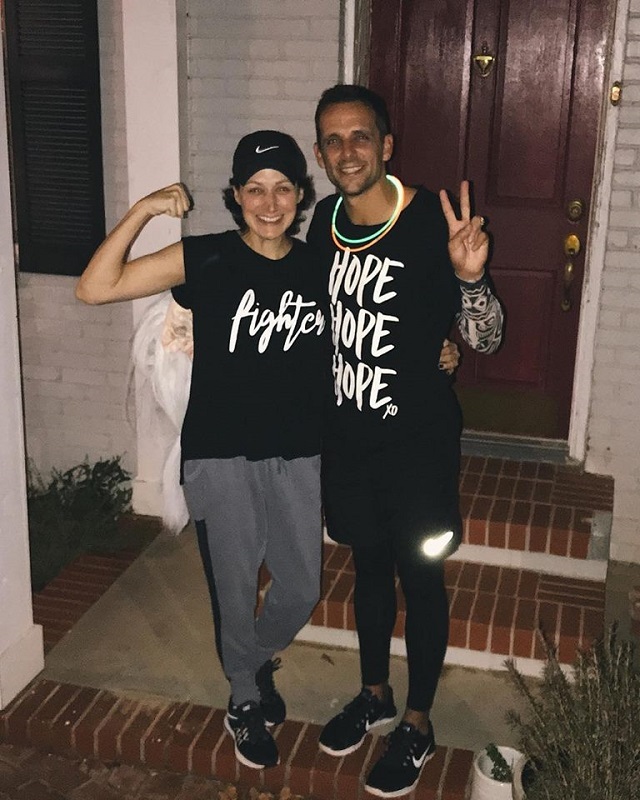 It took eight rounds of chemo, each of which was hard on her body. Recny also had surgery to remove a tumor from her breast. She was incredibly grateful when she learned that her journey with cancer was over. She had an interesting idea for how to mark her final chemo treatment. To celebrate and express her gratefulness, Recny took a video of herself singing the hymn “Amazing Grace” in the hospital. 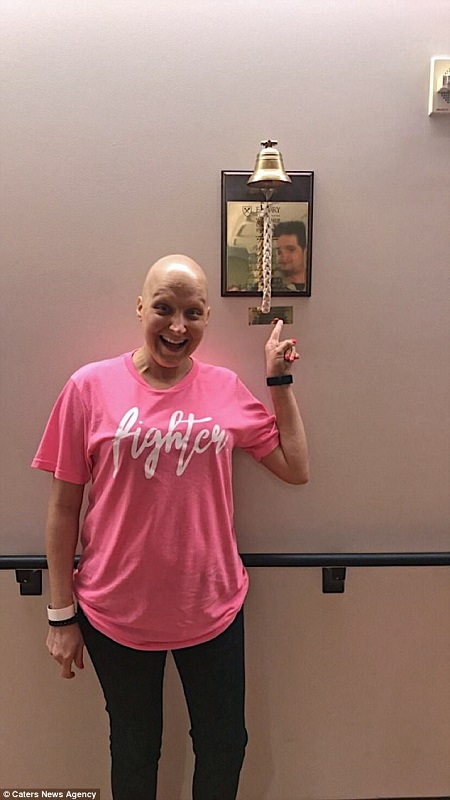 “Jessie was overflowing with happiness and cried tears of joy as she quoted the bell quote and rang it 3 loud times for everyone to hear — the sound of hope ringing through the halls,” said her sister-in-law Amanda Rhye, referring to the ceremonial ringing of a bell that many chemo patients do to mark the end of their treatments. 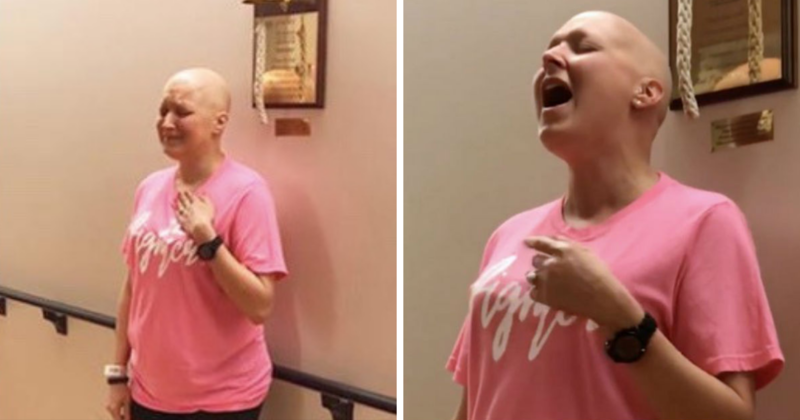 34-year-old Recny was overwhelmed with emotion as she sang in the halls of Winship Cancer Institute in Atlanta, Georgia. Rhye said everyone present was also overwhelmed. The nurses had been requesting to hear Recny sing for a long time. But she saved it for this special moment: the end of her painful journey. 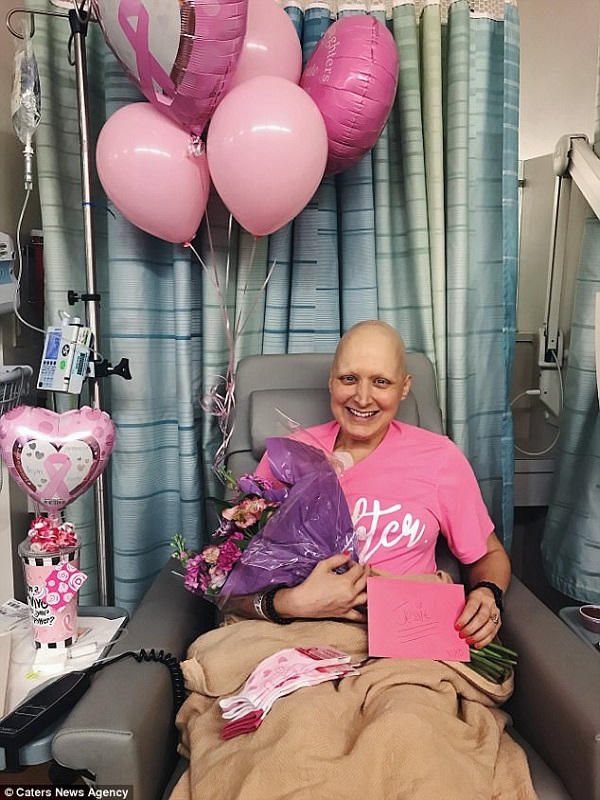 Rhye said that Recny didn’t just want to declare her own victory over cancer — she also wanted to inspire and bring hope to the other cancer patients in the ward who were also going through the same difficult experience. Recny got through one verse of the classic hymn before her tears overtook her and she had to stop. But her beautiful voice was heard by everyone on the cancer ward as a testimony to her triumph. 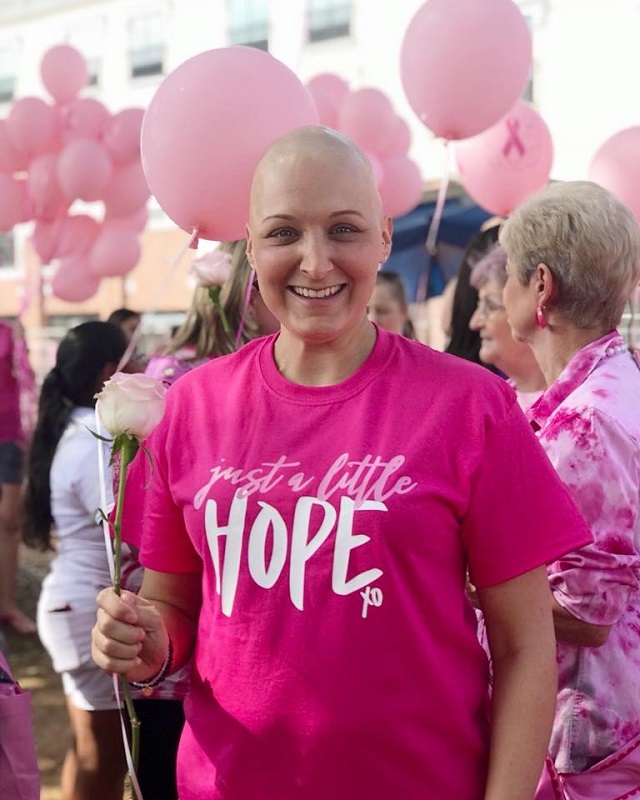 Recny never expected her diagnosis to be breast cancer. Instead, she thought that she was having some odd but harmless symptoms after her recent pregnancy. When she found a lump in her breast, she assumed that she had a swollen milk duct, since she was nursing her son. She told her sister-in-law that she was sure it was nothing to be worried about. Six months before her emotional performance in the cancer ward, Recny was diagnosed. She started an aggressive regimen of chemo and surgery and hoped that that would be the end. Aside from skin cancer, breast cancer is the most common type of cancer diagnosed in American women. However, it’s not terribly common to have to deal with it when you’re in your 30s and have a new baby. It was a scary prospect all around, but Recny rallied herself for the battle. 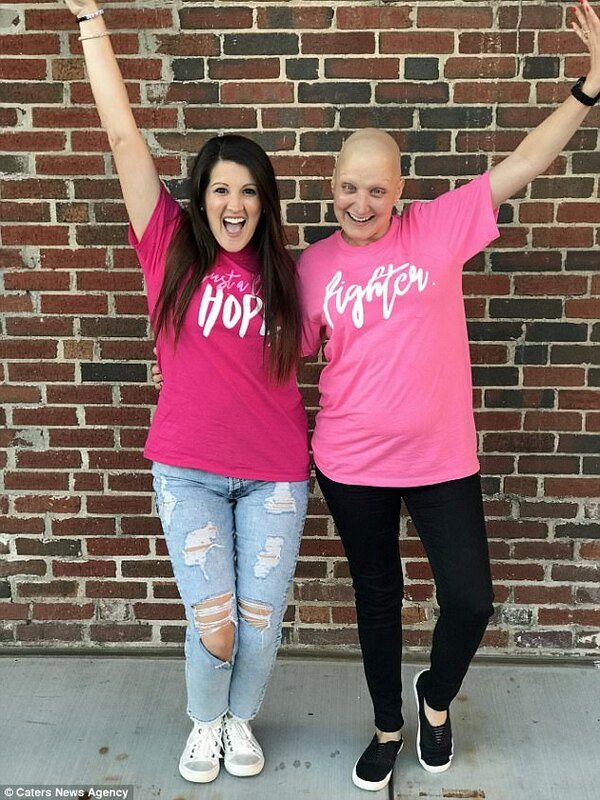 She wanted to stay hopeful even while her strength flagged and she lost her hair. Her family members are all too familiar with cancer. Rhye herself was diagnosed with leukemia at the age of 11. She wasn’t expected to survive more than a couple of weeks. But after five years of battling with the disease, she was declared in remission. Since then, she’s started a charity called HOPE XO dedicated to childhood cancer survivors. Rhye says that her sister-in-law’s suffering throughout her treatments has been an inspiration. Now, a year later, Rhye has gotten the news none of them wanted: Her cancer has returned and spread. But she’s still determined not to back down. Although Recny is now facing more cancer treatments, she’s determined to maintain a positive attitude. She also wants to be a symbol of hope for other cancer patients. Thankfully, she has a large network of supporters in her husband, son, sister-in-law, and others. Watch her incredible video below. Cedric Jackson is a contributor at Spotlight.